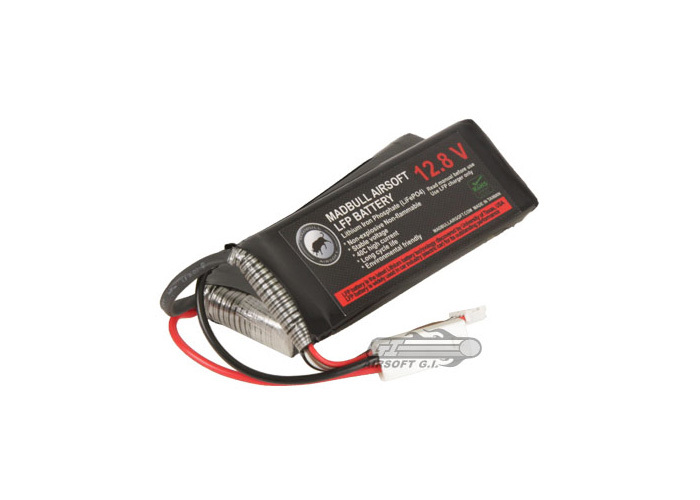 Lithium Iron Phosphate batteries are the newest available batteries for airsoft and other hobby toys. They are designed as a light weight, high output power source. This 12.8V LiFEPO4 battery can deliver more power than 10.8v Ni-MH large type battery with only half of the size and a third of the battery cells. LiFePO4 batteries are designed to give the same performance as a LiPo but with a higher tolerance for abuse it is much safer to use. This battery can only be charged with a Madbull LFP Charger. What lipo voltage does this equivalent to?